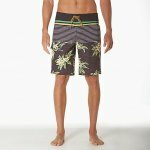 Surfaris board shorts with a mix of radical graphics, pushing yourself at the outer break or just logging some solid hammock time. 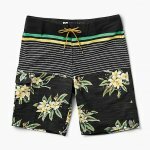 4-way stretch boardies fall just above the knee for more of a classic fit. 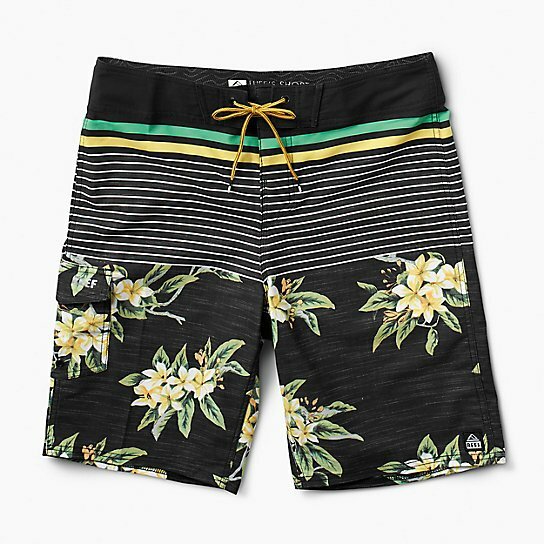 Brushed interior waistband and slick Lycra fly are nice to your bits and pieces. Velcro side pocket with elastic key loop, braided drawcord, and woven patch. 20-inch outseam.